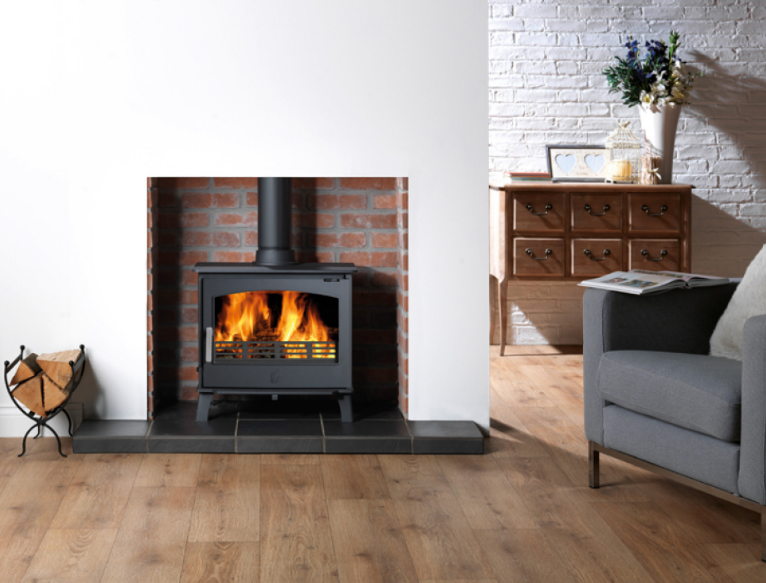 The Hopwood multifuel stove features a 6Kw output and with it's panoramic wide glass door brings a new dimension to the traditional stove. 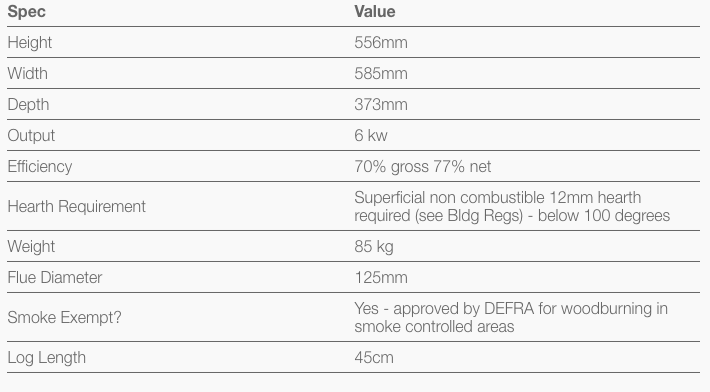 Being DEFRA approved allows you to burn wood in smoke controlled zones. A range of smokeless fuels can also be burned to give you plenty of fuel options and a reliable way to heat your home. The Hopwood is equipped with a powerful airwash to help keep the glass window clear of deposits and show off the fire to it's full effect. It is supplied with a chrome handle as standard. Finished as standard in matt black paint, you can also chose from Buttermilk or Cranberry Blush colour options. A massive thankyou for installing our new woodburner it's fantastic ! Thanks also for your professional advice and service. We Cover the Whole of Cheshire and Surrounding Areas!